With rumors of the "Unannounced Project" and Diablo 4 circulate around the community, we have to stop and ask, 'What comes next?' We're going to take a look back at many of the loose ends and unfinished story lines within the games to speculate about where future stories of the franchise could go. 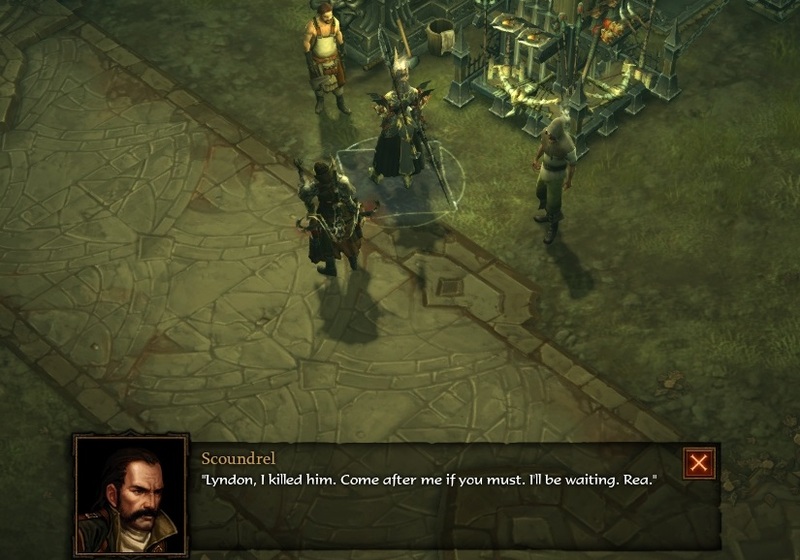 Lyndon, the Scoundrel, was the second follower to join the side of the Nephalem during the End Times and the fight against the Prime Evil. Throughout most of the story, Lyndon alludes to his life in Kingsport as a member of the Thieves Guild and the guilt he feels over the imprisonment of his brother, Edlin. Lyndon and Edlin were very close despite having took very different paths in life. Lyndon had a knack for stealing and Edlin joined the city guard. Lyndon wasn't entirely without morals, he'd slip information to his brother to disrupt the Thieves Guild's plans and make Edlin a hero. The brothers also loved the same woman, Rea, but she had no feelings for Lyndon and married Edlin. During a major heist Edlin showed up too early and instead of catching the Thieves Guild in the act was instead accused of being a part of it. Lyndon barely escaped, but left his brother behind to be locked away and the Thieves Guild has been chasing after Lyndon ever since. Rea convinces Edlin that it was Lyndon who had set him up. Due to his guilt, Lyndon never returns home to Kingsport, but instead sends all the money he steals and cons back to Rea to help pay off Edlin's debt and help get him out of prison. Shortly into Malthael's attack on Westmarch, Lyndon decides that he must leave to save his brother. The Nephalem is able to talk sense into Lyndon that he'll likely die trying to leave Westmarch with Malthael's attack going. 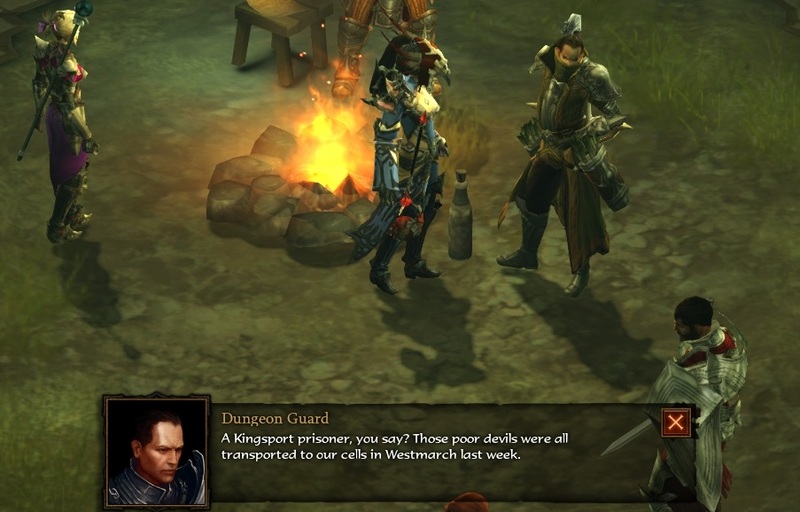 A nearby guard overhears their conversation and points out that they recently received a transfer of prisoners from Kingsport and that they're being kept in the guard's garrison. The Nephalem and Lyndon break into the garrison to rescue Edlin, but it seems that the Thieves Guild had already infiltrated the prison and were moving to kill Edlin. After fighting their way through the Guild and the prison, the Nephalem and Lyndon discover they are too late. Edlin had already been murdered. All that was left in the cell was Edlin's corpse and a dagger. After heading back to the Survivor's Enclave, Lyndon is inconsolable until Haedrig take a closer look at the dagger. Their was a note hidden in secret compartment in the pommel of the dagger addressed to Lyndon. The note was from Rea, saying that it was she that had Edlin killed and told Lyndon that if he wanted revenge, that he could come to Kingsport to find her. Why would Rea kill her own husband? Is there more history between her and Lyndon that would cause her to lash out at him in this way? What is Rea's connection to the Thieves Guild? And the big question: Will Lyndon get justice? We ultimately don't how much more of the Diablo III tale Blizzard intends to tell. 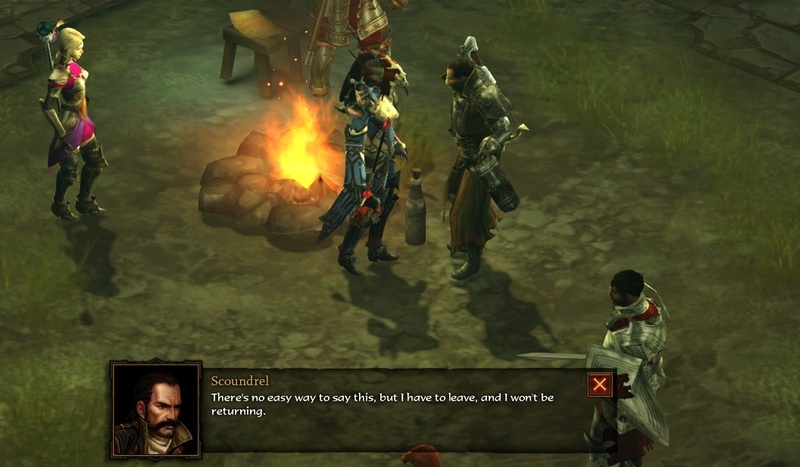 The storyline was pushed forward slightly in the Shrouded Moors with Patch 2.6, but we're left to wonder how many of these other minor stories within the game will be picked up and finished, whether it's in Diablo III or in a future game. Neinball (@NeinballGamer) is a content creator for Diablo Fans and a horadrim in training. Whether he's relaxing on Zegema Beach, fighting servants of the Corpse-God in the 41st millennium, or quelling Rebellions in the Outer Rim, his passion always brings him back to slaying Demons in Sanctuary.